Successful implementations depend on planning, experience, and execution. Whether you need a full team or just a single onsite consultant, HydraNet has the expertise and we’re ready to help. Our business process experts have successfully implemented CRM-gx in complex business environments in over 17 industries in 24 countries. We seldom meet a problem we haven’t already solved for another client. Gone are the days when companies could afford to spend 6-18 months implementing a large CRM solution. Our team averages just 3 weeks to deliver powerful, customized turnkey solutions for multinationals with up to 500 users. 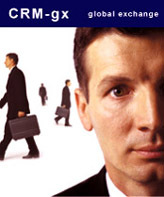 CRM-gx quotes a fixed price and a fixed deployment deadline. No more rolling deadlines and open-ended pricing. We typically deliver the solution in half the time it would take your internal team or an outside vendor, saving you precious time and money. We measure our success by the success and satisfaction of our clients. Read more of these success stories here.